When you find yourself in need of services like window repair in Indianapolis, IN, quick, professional solutions are an absolute must in order to feel safe and comfortable while in your own home. For just that reason, here at Next Level Exteriors our team of local Indianapolis window repair contractors are dedicated to providing homeowners with quick, convenient, and always dependable window repairs in Indianapolis, IN as soon as the need for them arises. By quickly having your window repairs in Indianapolis, IN performed by trained Next Level Exteriors professionals, homeowners can avoid problems like pest infestation, energy loss, and even safety and security concerns. 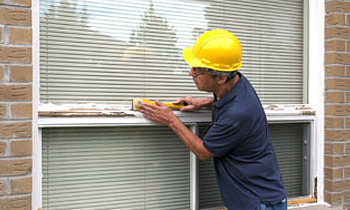 This expansive service availability helps to ensure that homeowners who are in need of any sort of window repair in Indianapolis, IN, from the most basic to the most urgent, can always count on their local Next Level Exteriors window repair contractors. Indianapolis, IN homeowners who are interested in dependable, convenient, and high quality window repairs in Indianapolis, IN performed are welcome to call our friendly and knowledgeable representatives at (317) 316-3003. Our team is happy to offer a free at-home consultation and estimate for each and every project they perform. Simply call (317) 316-3003 to schedule yours today!